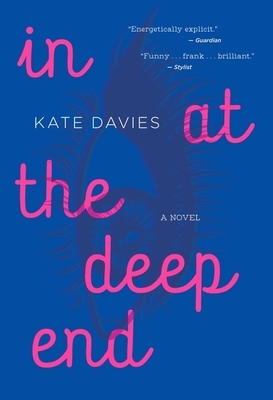 —O, the Oprah Magazine, "30 of the Best LGBTQ Books That'll Change the Literary Landscape in 2019"
"[An] exceedingly charming debut...Davies' writing is so breezy and effortless—and her characters so delightful—that to spend time in her world is a pleasure. Sweet but never saccharine; a literary rom-com about the importance of knowing yourself." "After a series of unsatisfying encounters with men, Julia realises that, actually, she's very probably a lesbian. What follows is a deep dive into her new identity via an LGBTQ swing dance club and a burgeoning relationship with an artist called Sam. But men don't have the copyright on toxicity, as Julia soon discovers in this funny, filthy debut. I alternated between snorting with mirth and clutching my pearls. (Not a euphemism.)" —Red Magazine (UK), "This month's best books"
"Being properly saucy while having a huge heart is something the best of us aspire to year-round but Davies' debut has managed it and made it look effortless...Fleabag-level dirty jokes, Eleanor Oliphant-levels of empathy and a heroine who feels like your best mate spilling the gossip after two glasses drunk a little too quickly. Fresh, funny and filthy."